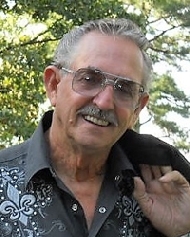 Bobbie Gene Luthy obituary. Carnes Funeral Home. On Sunday morning, June 11, 2017, Bobbie Gene Luthy, 73, of Greenwood, Arkansas, son of Raymond A and Golda Lucille Luthy passed from this world for our Lord, Jesus Christ to lead home after a brave year-long battle with cancer. He was born January 18, 1944 in Salem, Oregon. He worked as an auto body repairman and also did graphic design on vehicles and racecars. He hand-painted artwork and design for many local businesses. He loved to hunt and fish and ride his motorcycle, but his greatest passion was playing pool. He was a member of V.F.W. Post 8845. He had also been an active member of the Fraternal Order of Eagles which he loved for the charitable works they do. He loved all of his family dearly; children, grandchildren, brothers, sisters, nieces and nephews. His greatest wish was for them to stay close and show each other their love -- that was the most important thing to his heart. He was a kind-hearted, gentle man. He mentored many young people through the years with their pool playing. He was always a wonderful, loving and kind husband to his wife. They shared many happy years together -- life was always an adventure for them throughout their marriage. He leaves behind his wife, Margie Avlos Luthy of the home; two sons, Bobby and companion Cindy of Jennings, OK, Tommy Lee and wife Charity of Priest River, ID; three daughters, Fayrene Stratton of Oroville, CA, Dyana Morton and husband, William of Pocola, OK, Katie Cook and husband, Roy of Greenwood, AR; five brothers, Cliff of Jennings, OK and David of the Philippines, Allen and wife Teresia of Bishop, CA, Oliver of Montana, and Tommy of Montana; one sister, Roselee and Jeff Kershaw of CA. ; 20 grandchildren and 15 great-grandchildren. He was preceded in death by his parents Raymond and Golda Luthy; his daughter, Tammy; his sisters Zella Skinner and Lillian Hunter; his brother Galen Hunter.